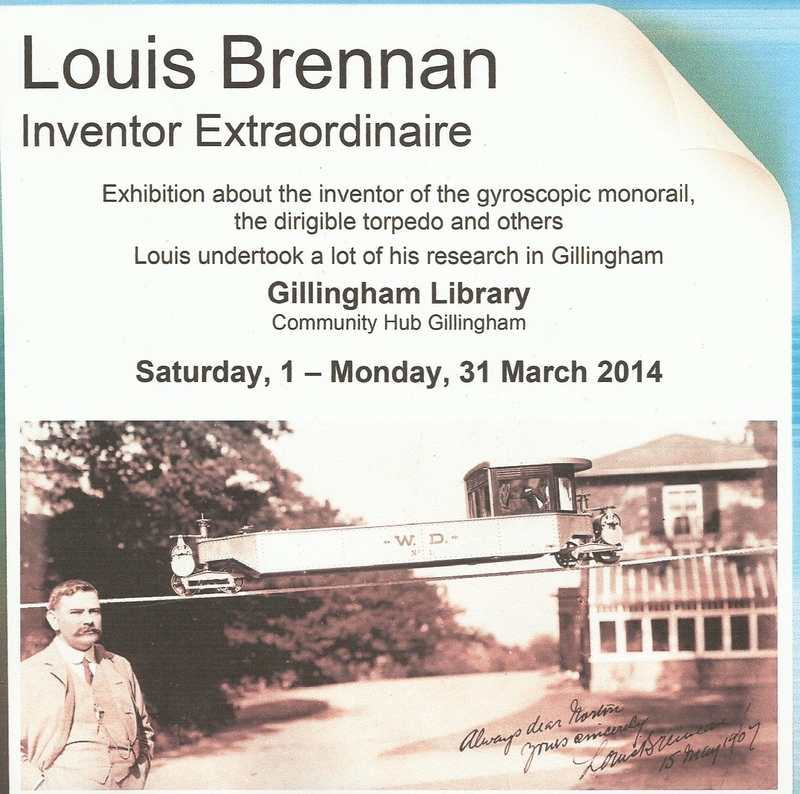 To coincide with the unveiling ceremony to mark the life and times of Castlebar born inventor Louis Brennan an exhibition will be held in Gillingham Public Library, Gillingham, Medway, Kent. Louis Brennan undertook a lot of his research work while based in Gillingham. 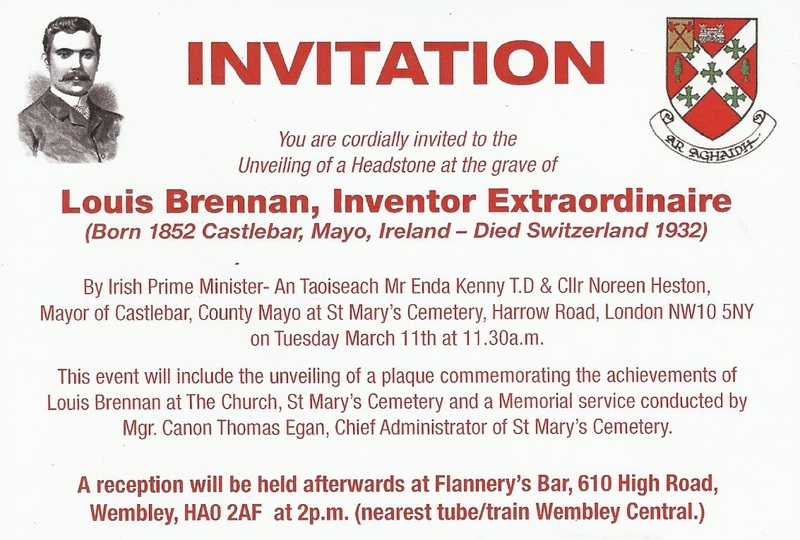 This event will include unveiling of plaque commemoration the work of Louis Brennan at Church, St Mary's Cemetery and a Memorial service conducted by Mgr. Canon Thomas Egan the Chief Administrator, St Mary's Cemetery, who is himself a Castlebar native. Brennan was born in 1852 in Castlebar, County Mayo, Ireland. He moved to Melbourne, Australia in 1861. As a child he loved puzzles and finding out how things worked. When he found out how his toys worked, he would think of alternative uses for them. When he left school he became an engineer. He learnt his trade working for Alexander Kennedy Smith who was a renowned mechanical engineer. Louis Brennan was a mechanical engineer and one of Ireland's most prominent inventors. He worked on the development of the helicopter and monorail, but his biggest success was inventing the world's first guided missile. Brennan also worked as an inventor for the British military. He was interested in transport and created an innovative monorail system that was kept balanced using a gyroscope. He demonstrated his invention without any problems but it was never taken on due to fears that it could fail. He suffered a similar disappointment when he spent seven years working for the air ministry trying to invent a workable helicopter only for the government to stop funding the project. While recuperating from an illness in Switzerland he died in 1932, aged 79, after being hit by a car. Please share this with friends or relatives in the greater London area who might be interested in attending this event.